In the future could families and firms power themselves? For decades the electricity system was relatively straightforward. Power was generated by utility companies, then sold and supplied to consumers and businesses. But this is changing and the power industry may be on the verge of a revolution. The falling costs and ongoing innovation around technologies like rooftop solar panels and domestic battery storage is enabling the rise of so-called ‘prosumers’ – individuals, businesses or institutions who not only consume electricity, but produce it too. According to the National Grid’s 2017 Future Energy Scenarios report, this could lead to an almost entirely decentralised, cleaner energy system. But for this to happen, prosumerism needs to be adopted at scale, and this relies on technological innovation and changes to attitudes and behaviours. The biggest barrier to large-scale adoption of prosumerism is technology. Although research and innovation pounds, dollars and euros have been pouring into the technologies that make decentralised power generation possible, there are still developments to be made. Solar is one of the most prominently used renewables by prosumers thanks to the relative affordability of rooftop solar systems. Even home-interior giant IKEA now offers solar panels and battery systems through a partnership with the UK’s largest solar company, Solarcentury. But like wind turbines (a more cost-prohibitive solution) solar is an intermittent energy source, which means domestic users may still need to access the grid to fill gaps in their own generation. That is, unless battery technology advances to a point where it can store enough solar- or wind-generated electricity to fully power homes and businesses affordably – all-year round, including in the dark, still days of midwinter. Until then, a prosumer who wants to have a reliable, flexible self-supply of energy needs to be able to call on a mix of renewable technologies – just as the national system does. Hamerton Zoo in Cambridgeshire, for example, generates its own energy via a mix of solar, wind and biomass. It then sells its excess electricity to an energy supplier. There are signs that battery technology is starting to take off as an option for powering homes and businesses. Tesla’s Powerwall is currently the closest home battery system to breaking through to mainstream consumers and many firms are following its lead. For example, in the UK, Elon Musk’s company faces new competition from Nissan, which is partnering with US power firm Eaton to build and sell home batteries in the UK. That two electric car manufacturers are in on the act is no surprise – it will be another revolution, that of electric vehicles (EVs) usurping the dominance of petrol and diesel models that is set to bring the boon that batteries need to become a popular choice for prosumers. The government is also pushing innovation in the space with business and energy secretary Greg Clark announcing plans to invest £264 million into research in the sector over the next four years. But what could this mean for the business of electricity? The National Grid report suggests multiple ‘commercial models’ will operate together to facilitate a decentralised, prosumer-based energy system. These would include homes and businesses who wholly own their energy systems, as well as systems owned and operated by third parties such as aggregators managing energy or solar-rental schemes. Community-owned projects could also play a role, with small renewable energy facilities supplying residents, such as the wind turbine in the Cambridgeshire village of Gamlingay. Excess energy could also be sold back to the grid with any money earned reinvested in the community, or in its renewable infrastructure. Similar schemes are already in place in both the business and consumer retail markets. In 2016, for example, Opus Energy – a Drax Group company supplying energy to UK businesses – bought almost 1 TWh of power from over 2,000 small renewable generators who use technologies such as anaerobic digestion, solar, onshore wind and hydro. Opus Energy then sells that power onto its predominantly small and medium-sized enterprise (SME) customer base. This allows it to offer innovative tariffs such as the 100% solar power deal enjoyed by restaurant chain LEON this summer. Haven Power, the Drax retail business specialising in electricity supply for large corporate and industrial clients, sells on power from over 20 small renewable generators – and it has a number of large clients such as water utilities who self-generate a lot of their own power and work with Haven Power to help manage their self-supply against their demand from regional electricity distribution networks (and further upstream, National Grid and power stations). For large power generators, an increase in prosumerism in the energy sector could mean likely overall demand may decrease, which would mean a scaling back of operations. However, the increased volatility of the grid will give rise to the need for flexibility and for additional ancillary services like frequency response, which ensures the country’s electricity is all operating at the same frequency. This would most likely be delivered by flexible generators (such as gas and biomass), which would also be required for winter demand, when more electricity is required and there is less wind and solar generation. Another key part of the rise of consumer generated power will be government regulation and incentive schemes. In the UK, new measures have been put in place to encourage individuals to generate their own electricity. These intend to make it easier for prosumers to generate their own power through solar, store it in batteries and sell it back to the National Grid, something which regulator Ofgem claims could save consumers between £17 billion and £40 billion by 2050. This isn’t the only scheme of its kind currently in action. The UK’s Renewable Heat Incentive (RHI) encourages homeowners and businesses to adopt low-carbon heating, offering to pay a certain amount for every kWh of renewable heat generated. Feed-in tariffs, on the other hand, also offer financial incentives, with electricity suppliers paying prosumers for the energy they produce themselves. Is my home or business big enough? The prosumer revolution will not happen overnight. 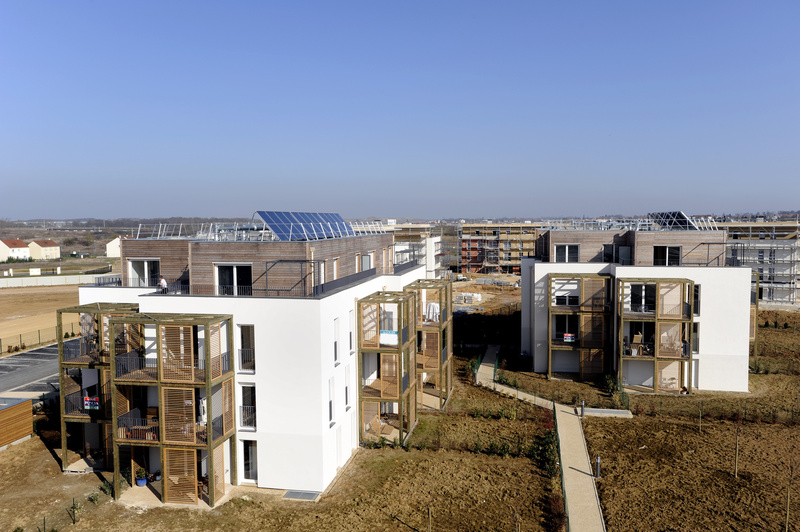 Self-generation and self-storage of power and the installation of renewable heat systems are more suited to larger properties or those linked up to community-based projects, so for many people living in properties they own, rent or in social housing the idea of becoming a prosumer could right now be a little far-fetched. And although there is evidence that the national transmission grid is already decentralising, nor will this revolution mean the complete eradication of all centralised utilities. Through gradual improvements in small-scale energy generation, power storage, smart technology and government policies, it will become an increasingly affordable and efficient way for communities, businesses and institutions to go green.